Today marks two big milestones. I started dry needling at 5+ weeks post-op, with the help of a skilled fellow pelvic physical therapist. Increased ROM. I decreased my brace limits to -10 to 100 degrees today, which means the limits on my mobility and walking are steadily improving. This is stellar improvement. At one point I was a fan of The Doors, and their song, “Break on Through to the Other Side,” really applies in this situation. Based on my progress to date, and the limitations that persist, I’ve decided to break out of the typical PT protocol. This means incorporating more modalities and methods of training into my physical therapy program, specifically, more functional medicine, medical therapeutic yoga, and yes, dry needling. Safety first. Any surgical protocol is put into place to protect the technical surgery and promote success through ensuring certain activities are not introduced too early, thereby allowing for perfectly timed healing and progression of return to activity. However, it is up to the physical therapist to implement any protocol, and that is why physical therapists must earn doctorate degrees, at least in the United States, which I believe should be a requirement in every country. Physical rehabilitation is complicated stuff, which means I have a significant advantage as a hip scope patient, because I am a PT. I get to see what is needed from the inside out – experiencing it firsthand. This means I get the therapy I need instantly, because I can feel the exact moment when my pelvic floor isn’t firing correctly, or when my coccygeus or obturator internus isn’t syncing to assist or interferes with gait (walking) or activities of daily living. I know when the femoral head is too far forward (anterior) in the socket, which creates a pain impingement and radiating pelvic pain that is often misdiagnosed. Being a PT and ATC/L with 25 years of experience allows me to feel more and to feel more specifically about my body, to say, be able to differentiate from a regular muscular contraction and one that is causing pain or dysfunction. All of these things are good, and as I notice these things, I prescribe physical therapy solutions myself. You get to benefit as a reader. This blog exists not for me, but for you. The individual with hip pain. Most people aren’t in the unique shoes I am in, and I want to help you find the BEST fit physical therapy approach and have the best chance for recovery possible. While this blog is never a substitute for or represents medical care in any form, I hope that through reading my experiences and seeing how I progressed my own therapy and recovery, you’ll be inspired and helped along the way toward finding your best path for post-operative success! Now, let’s get back to discussing my milestones for the 5+ week mark. First Note: Dry needling should ONLY take place after surface healing is complete and there is no chance of infection. The skin should be healthy, and if you are not a PT in close contact with your surgeon like I was, then you need to seek permission from both your surgeon and PT in order to proceed with dry needling. You need to discuss if this is the right modality for you to use. Your PT should also be licensed and qualified in dry needling. I would also add that your PT should have a gentle, nonaggressive approach. Dry needling is not a practice in high velocity, quick thrust, 30 second in/out approach. Chances are, if your PT is an excellent manual therapist and is adept with her/his hands, able to feel subtle tissue changes that underscore and affirm your pain experience, she/he is more likely to be excellent at dry needling. it’s not a guarantee, but it’s a start for looking at practitioner selection. Each state has its own regulations. In the state of NC dry needling is part of a PT scope of practice and can be incredibly beneficial in helping you reach your PT goals and get your life back. Conclusion in one word: Amazing. The results after 1 session are incredible. My range of motion increased by an easy-breezy minimum of 15 degrees. I sought out a skilled pelvic PT colleague who could do dry needling for myofascial release and scar mobilization because I knew I was hitting a wall with just a manual therapy PT approach. I wasn’t gaining any additional range of motion with existing approaches (chiefly joint mobilization and soft tissue work on land and in the water) and was having significant impingement and groin pain with attempted flexion past 90 degrees. Now, I need to say that this “hitting a wall” is not unusual or abnormal. So if you are experiencing it, don’t panic. 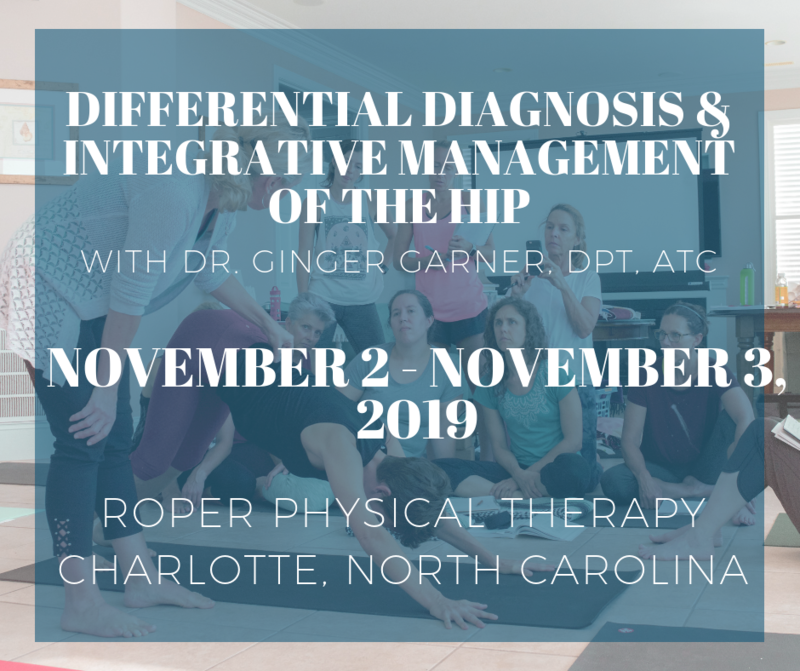 It happens to everyone at some point – and that is when you either need to a) Discuss the problem with your physical therapist. Perhaps the protocol isn’t keeping pace with your needs, or the PT is missing some vital information from you to progress the protocol at the pace you need, or b) You need to still discuss the problem with your PT and then like me, find a second PT with a pelvic specialty who can troubleshoot the targeted stubborn area(s). I would also suggest talking with your surgeon to see if she/he has any additional suggestions. First, I picked a PT who complemented my mindful/integrative and functional medicine approach to PT, so I chose a PT who also specialized in pelvic health and orthopaedics but had the additional recent added specialty of dry needling. Together we worked on posterior glides of the hip (*joint mobilizations should ONLY be performed by a licensed physical therapist or osteopath or orthopaedist*) that were laterally directed toward the capsule and then medially directed with lateral rotational (counterclockwise) superficial mobilization of the tissue. Short version – We used joint mobilizations of the hip combined with myofascial release and soft tissue work moving into the area of restriction after dry needling several areas. BUT – There’s one added magic bullet that was our moonshot – we did all this work in varying yoga postures, some restorative, and some in PNF patterns and positions. The results helped us solidly land our target! One more important note – We did pre-test and post-test (which I highly recommend be done every visit), and for the first time since post-op therapy began, all passive ranges of motion attempted (safely within my surgical protocol limits) were pain-free! Today. Great progress indeed! Achieving this intention to increase pain-free range of motion so that I could walk more easily was a major milestone and one I do not think I would have reached without seeking out and adding dry needling to my PT prescription. Getting on the floor is a real milestone achievement. Demonstrating my new available range of motion (ROM) in a classic yoga pose I haven’t been able to do for 3 years, cobbler’s pose! And of course, it is now pain-free! I can long sit for the first time in spinal neutral for less than 1 minute after needling and myofascial release for scar mobility. For those of you who do not know what long sitting is – it is to sit upright on the floor with your legs straight out in front of you. Think staff pose (dandasana) in yoga). I have less puckering and pulling in my surgical scars after treatment. I can touch my own feet for the first time in 5 weeks! This is a HUGE deal for being able to do your own self-care and dress yourself. I can try 1 crutch for the first time without pain – it’s just inside the house and over a smooth floor for a short distance a few times, but I’ll take that progress! I have less groin pain at the end of each day. I can cross my legs for the first time in seated without pain, and for the first time in years! I couldn’t cross my legs without significant pain for about 3 years before surgery. I’ve learned, having the benefit of being a PT, to dry some dry needling on myself, doing “feathering” and regular needling techniques under and around my scars. I have found a very stiff wall of scar tissue affecting the global fascia and surrounding muscle contraction integrity. I don’t know it yet, but it will take months and months to work through this old scar tissue. By the end of the 5th week, my range of motion increases are remarkable – seated abduction and adduction are 25 and 30 degrees, respectively, supine flexion (after self joint mobilizations in a posterior/inferior glide direction) is 127, and prone extension at 23 degrees. From this session forward, I made sure dry needling was a regular fixture in my PT protocol. I did continue with my primary PT, and working together, my progress accelerated. The harsh reality though, meant that seeing my physical therapists became a full-time job in itself. In the meantime, thank goodness I had mindfulness and my hip-rehab medical therapeutic yoga practice to help me maintain sanity as I continued to run Professional Yoga Therapy Institute, pursue my doctorate, finish my first medical textbook, and raise my three young sons. Find a master clinician PT. This is imperative. Not all PT is created equal. That’s important enough to read over again. I chose trusted colleagues who were skilled and experienced in treating the hip and pelvis. For example, my dry needling pelvic PT new exactly how far to go to the “edge” or limit threshold of pain, apprehension, and joint capsule integrity. And as a PT myself, I knew exactly what to tell her needed work when I went in for therapy each week. This is key, because you should never get an injury from going to PT or have your surgical success compromised or stunted because of a PT who doesn’t have specialized training in pelvic and hip management. Your surgeon may not cover all the necessary rehab bases. Be prepared to ask for assistance. Some surgeons automatically authorize a handicapped placard. Mine did not. If you cannot drive and cannot walk without an assistive device, you need one, especially if you live in an urban area where you may have to walk a long way, in pain, on crutches, just to get inside a store. I recommend discussing your individual situation with your surgeon. A walker may be essential for safely negotiating the shower. Mine was especially difficult because there was no shower door, and water gets onto the floor outside the shower. This is dangerous, and there was no way I could get in and out of the shower with crutches. Thankfully, I had a walker handy. A walker is also helpful on a “flare-up” day when you’ve done too much. If you have previous surgical scars near the surgical hip, please be prepared to address those. They will more than likely influence your hip surgery. For example, the scars I had are deep, tough, and stubborn and caused the iliacus, psoas, and adductors to mimic a constant impingement sign and pain with hip flexion. You should absolutely have pre-operative PT prior to surgery. It will help you need LESS intensive PT after surgery and also help you to know what to do on your own in the immediate post-op. That is a critical time to make gains that most patients miss out on because PT doesn’t start until days or even weeks after surgery. Make SURE you have a strong transversus abdominis, pelvic floor (that can also fully relax), excellent balance (especially in the nonoperative leg), and proprioception (your ability to know where your leg/arm/trunk/etc is in space). Work on these things through strengthening, relaxation, and muscle patterning is key, while also working to calm any psoas, adductor, pelvic floor, or gluteal tenderness or tonic contraction states. Surgery is not a cure-all. Prior to surgery you will have a list of deficits to work on. After surgery, you’ll have a list of post-operative deficits AND a list of deficits as a result of the surgery. The work is doubled, not halved, by having surgery. Surgery doesn’t cut your recovery in half. The real work, for you, begins after surgery. Case in point – My MRA showed significant deterioration of the gluteus medius attachment at the iliac crest (hip area), showing remarkable bone marrow changes in the area. This means that at almost 6 weeks post-op, I still had a Trendelenburg Sign on the right, which meant my gluteus medius was significantly impaired and damaged. While exercises like active sidelying clamshells can address general gluteus medius strength to improve pain-free walking and activities, it doesn’t address contraction timing and coordination with the gluteus maximus and the quadriceps and hamstrings. Tip: If you have pre-existing gluteal tendinopathy and subsequent timing issues that are often the consequence of a labral tear, don’t be afraid to talk with your PT about how to deal with those. Sometimes additional modalities could be needed, like functional electrical stimulation or deep water walking (see picture at right). For example, in stair climbing I used a single crutch with handrail assist but without full weight bearing on the operative leg, and the lack of cocontraction of the gluteus maximus and gluteus medius in concert with the quadriceps and hamstrings meant I didn’t have adequate power (strength + endurance) to stair climb properly.Over time, these little nagging secondary issues can unravel the success of your rehab, so please address secondary diagnoses. Secondary diagnoses are as important as your primary diagnosis! In my case, I started deep water walking in very short spurts, and eventually added functional electrical stimulation to my PT program. My first attempt at water walking post-op. The water was helpful, but I still wasn’t quite ready to ditch the assistive devices in the water yet. More lower quarter strength and TATD breath to rebuild! ©2014. Ginger Garner. All rights reserved. At week 5, I begin to wonder if the average person that doesn’t have all this medical expertise and sports medicine and orthopaedic training has a real chance to really fully recover? Also, what if they have poor health insurance that has a $50 copay, or they don’t have the extra funds to have a second PT? What if they do not have access to the exceptional care I had? And, how can I change that and make everyone aware of the care they deserve? The answers to these questions was where the idea for this blog and the closed FB group, Hip Labral Physical Therapy Network, were born. I pledged to start this blog after completing my rehab because I needed to wait until rehab was finished. There was no way I could do the blog justice while in the midst of what felt like fulltime rehab PLUS daily life as a mom of three, doctoral student, pending author of a medical textbook, and CEO and faculty member of my own educational organization. I invite you to please join the conversation on FB and my blog. This blog and this FB page is my gift to you. It is for your benefit.